Should kids be “forced” to read books they aren’t naturally drawn to, or should we just be happy that they’re reading anything at all, whatever it might be? A generation ago, it wasn’t really a question; of course kids should be forced to read the classics, at least when it comes to school assigned literature. The question itself might be relatively new, for teachers, but this type of question isn’t really new. There are many age-old versions of it, and many subtleties surrounding the question, that aren’t nearly so black and white. For instance: Should picky eaters be forced to swallow down vegetables, or should parents be happy when they eat anything, assuming that good nutrition habits will come later? In the method familiar to generations of students, an entire class reads a novel — often a classic — together to draw out the themes and study literary craft. That tradition, proponents say, builds a shared literary culture among students, exposes all readers to works of quality and complexity and is the best way to prepare students for standardized tests. But fans of the reading workshop say that assigning books leaves many children bored or unable to understand the texts. Letting students choose their own books, they say, can help to build a lifelong love of reading. Choice as motivator: Green beans or Brussels sprouts? I think kids should be eating some vegetables and reading some classic literature, but they can also be given some limited choice in the matter. It seems to me that forcing any specific thing on kids, in a specific way, makes most of them feel cornered and resentful, and even rebellious. If the grownups make it clear (you will be eating some vegetables tonight with dinner) but give them options (should I make green beans or Brussels sprouts? ), kids tend to take more ownership in the matter. This approach offers freedom within structure. The same goes, I would think, for reading teachers who offer options: Everyone in this class must chose to read either Harper Lee or Anne Frank—you pick. An appetizing disguise never hurts: Some Hollandaise for that asparagus? Just because something is really good for you doesn’t mean it’s destined to be a bitter pill to choke down. In other words, not every classic piece of literature has to be slopped onto the plate like a pile of lukewarm, mushy peas. So don’t throw the vegetables out because kids turn up their noses—find fresh ways to approach them and serve them. Take the classic literature and have kids read it, but let them respond to it in exciting formats and new ways. Disguise it just enough, under a bit of Hollandaise sauce, and soon maybe the good habits will come without requiring extra effort. Just as dinner, ideally, is not only about directing food toward your stomach, reading is not just about ingesting words. We tend to think about reading as a solitary activity, but I think the communal aspect of engaging books and ideas is as important as each individual actually reading the book. It worries me to think that a class of kids might all be reading different books, so they might miss out on those important opportunities to discuss, form opinions, and debate. It’s almost as sad as the thought of some family members, night after night, each heating up their individual frozen dinner of choice and eating it when and where they want, without the motivation to plan and share the food, the space, and the accompanying conversation. It’s important to teach kids that what’s good for them is usually not what tastes sweetest, and that’s OK. It’s a huge life lesson—the best things in life take work and discipline—so the sooner they learn it, the better. But that doesn’t mean there isn’t a place for everything gooey, sugary, sticky and rich. There just has to be balance and moderation. I think kids, parents and teachers can all work together to find that sweet spot, as long as they share common goals and ideals. There’s always room for dessert after dinner, and always a place for those Valentines Days and Halloweens of abandon and sweet celebration, when the healthy diet is temporarily put on hold. Let the kids go crazy and read what they want. Just make sure they brush their teeth really well when they come down from their sugar high. Do grownups really know best? As a teacher, I can honestly say that I wish more parents approached difficult school situations like you suggest. You made two important points: choices are essential and we all have to learn to do things that aren’t our favorite sometimes. Thank you! I took college prep English in my small blue collar town back in the 1970s. When I actually got to college, so many of my classmates were conversant in books like Catcher in the Rye that we had not read, and I was an English minor… It took me years to realize that any book that could be considered subversive we were not allowed to read. Those of us who wanted to reach for the stars were limited to the known planets. So I’m troubled by a seeming lack of literary literacy that could show up later in college or other arenas. Thanks for bringing this up. I’d read this article earlier and found it worthy to discuss. I’m definitely in favor of reading the classics – I was an English major, so I read my fair share and grew to love them. But now, though I’m not a parent or teacher, I do work with kids in the classroom and so many of them say to me that they would not read if they didn’t like the book. Classics are great – they’re classic for a reason. But not everyone likes them. Some kids prefer other kinds of stories or other kinds of writing. So when they’re required to read books they don’t like in school, they begin to develop a dislike for reading in general. Then, when the time comes that they can read whatever they want, they choose not to b/c at that point they’ve learned to not like reading. I don’t suggest getting rid of the classics altogether. But there can be a way to work them in. For instance, if kids liked the Percy Jackson series, maybe getting them to read nonfiction about Greek mythology and history could eventually lead to The Odyssey and the Iliad. Or if they like monster and vampire stories, find a way to introduce Frankenstein and Dracula. If the choice is between reading whatever they want and not reading at all, certainly we’d prefer having kids read something – even if it’s not what we would choose for them. This article made me scream when I read it yesterday. I’m all for encouraging kids to read what appeals to them, but to have self-selected reading replace required reading in the classroom seems outrageous to me, and a disservice to the students. I was a voracious reader when I was kid – I’d rather be curled up with my nose in a book than be anywhere else (fittingly, I was the daughter of a high school librarian and a former math teacher). I was encouraged to read whatever I wanted, and no one told me to put down the Danielle Steele novels. But I never would have discovered the joys of Toni Morrison, Maya Angelou, Jane Austen, or Dickens if someone hadn’t required me to read them – and Pride and Prejudice, which I read for the first time in high school, is still my favorite book in the entire world. I certainly wouldn’t have picked up Shakespeare. And I loved to read. You mention the communal aspect of reading – and I would take it even one step further – think of all the cultural and literary references that come from the reading of classics. Aren’t these things that future generations should know? 1. Readers’ Workshop is not new. Most good language arts teachers I know have been doing some version of it for a long time. 2. Too many people have discussed this issue as if it’s either/or. As you so aptly point out, there are times for rigorous nutrition, and times to splurge on dessert. Neither is as satisfying alone, in the long run. 3. Most people who have advocated most intensely for the self-selection-all-the-time position are avid readers. Sure, YOU got a rich experience out of your self-selected reading; you were reading voraciously. That’s not true for everyone. 4. Whole-class novels don’t have to be “classics.” Fifty years ago “To Kill a Mockingbird” was a brand new best-seller, and someone had to be the first brave English teacher to say it was worth buying for every single kid in her class. Lots of teachers I know use contemporary, relevant, “fun” novels for whole-class reading. 5. Classics don’t have to be boring! “Romeo and Juliet” was consistently the most popular piece of literature we read as a whole class when I taught Freshman English. That’s probably because *I* loved it, and that transferred to how I taught it and how the kids received it. We read every word aloud, figured it out, acted it out, looked at film clips, hunted for the dirty jokes hidden amid the Elizabethan language, talked a LOT about why the characters did and said what they did, and OWNED that play by the end of the quarter. Hollandaise sauce!! 6. Reading CAN be a delightfully communal activity, as you also point out. People join book clubs, attend group discussions, engage in lively debate online, and participate in community “one book” projects… BY CHOICE. And usually we DON’T get to pick the book personally. So reading a common title, even one someone else chooses for you, and then talking about it must be a satisfying experience for a whole lot of people! Finally: I think what Laurachris2 says about a shared literary and cultural foundation is valid. The broader one’s cultural literacy, the richer one’s life experience. And look at all those writers karendaisy17 would never have discovered on her own without a class or a teacher leading her there. I could create a similar list. 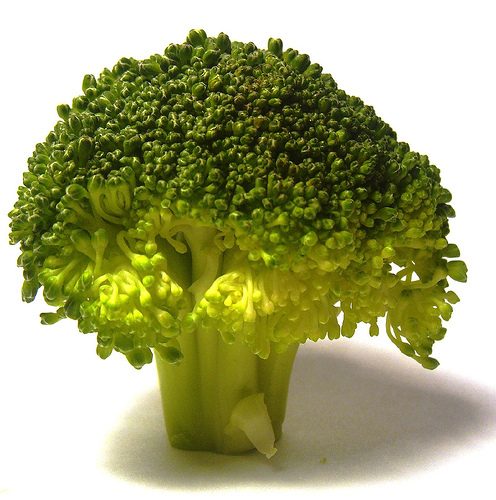 Personally, I’m glad I’ve had teachers who handed me some broccoli to augment my nachos and pizza. Robin, you sound like just the sort of teacher I would like my children to have! Although I’ve never taught, both of my parents were teachers, so I witnessed a lot of the behind-the-scenes work and challenges. Thanks for all of your work, wherever it is that you teach! Laurachris2, that’s a really good point—one I hadn’t even thought of. Somehow, throughout my education, I missed out on a really solid study of Greek mythology. I’ve felt insecure about it ever since. I realize that’s not a life-or-death matter, but feeling sure of ourselves is important. Intellectual self-assurance requires a certain set of building blocks as a foundation, and an understanding of how to make connections and build from there. That’s definitely something I want for my kids. Meredith, I hope you always feel free to play devil’s advocate here. :) I wonder if the kids who say they won’t read if they don’t like the book have ever had a teacher dress the book up with some Hollandaise? I guess what I’m saying is that I think all kids have the capacity to get excited about a book that has been admired over the years for a reason. (See bookhouseboy’s example, below.) I love your Percy Jackson/Greek mythology combo idea, though. All three of our kids are crazy about the Percy Jackson series, and have sought out the mythology section of the library all on their own. It’s a perfect example of a happy middle ground. karendaisy17, that’s exactly what got me most worked up about the article—the idea that the books chosen by kids would completely take the place of all teacher-assigned literature. I’m pretty sure that all of the greatest books I read growing up—the ones that shaped me, and that I still remember—were handed to me by a teacher or my parents. Kids need to have some ownership, but the fact of the matter is, they’re kids! Even if they’re super smart, they lack wisdom and perspective, and for the most part they crave some structure and boundaries. bookhouseboy, I’m sort of glad you got riled up last night, which in turn got me a bit riled up and inspired this post. :) I’m also glad the post helped take the edge off. This is brilliant: “…reluctant readers need the fun stuff if they are ever going to become independent, life-long readers. But they also need some solid, explicit modeling of how good readers think, process, and analyze. Reading a novel as a whole class, talking about it, digging into it, gives everyone practice at doing that.” I completely agree with your fourth point, too. And your teaching of Romeo and Juliet? I love it. How can I sign my kids up? I grew up as a reluctant reader, in spite of the fact that my father published over 70 books. Now I write action-adventures & mysteries, especially for tween boys, that avid boy readers and girls enjoy just as much. My blog, Books for Boys http://booksandboys.blogspot.com is dedicated to drawing attention to the importance of reading. I too subscirbe to the ‘happy medium as opposed to the all or nothing approach. I have always seen my role to be the supplement to what was offered at school, plus I made a point of making sure those supplements were choc full of nutrients. (Do like your food analogy) I never refused the sauce, but offered tons of fillers so the sauce wasnt quite so interesting. I wish to add that my observations say reluctant readers are often so, as they have not been given the best keys to read easily. If they are lacking the confidence to read easily, have fallen thrugh the cracks, and/or have not been given the tools to read, then the content wont appeal – period. IMHO. Max, that’s a really good point. As a girl myself, and as mom to girls (all three voracious readers), I often forget that boys are different beasts (so to speak). Thanks for bringing them into the discussion, as well as for mentioning “reluctant” readers. It seems like you are doing really important work with both groups. Trina, in my opinion, the world needs all the “happy medium” promoters it can get! I’m glad you like the food analogy, too. :) As far as the importance of parents supplementing what happens at school, I completely agree. While I don’t mind shouldering that responsibility, I do feel strongly that learning with peers is critical, and I can’t help but worry about the kids whose parents aren’t able to be involved, for whatever reason.